Did a highly cultured forgotten race spread across the globe tens of thousands of years ago? Were they originally a spiritual people who became progressively more decadent and materialistic until they were annihilated in a global disaster? Was this a 'karmic' catastrophe ... and does their experience serve as a dire warning to us? For nearly a decade, Ian Lawton has striven to unveil the enigmas of the ancient religious texts and traditions from all over the world to determine what they reveal about our earliest ancestors and the fate that befell them. His conclusions are unlike anything you have read before. Lawton believes the texts point to a lost 'golden race' who were building permanent settlements and navigating the oceans tens of thousands of years ago. But his most startling revelation is that this forgotten race originally possessed a high degree of spiritual sophistication that was gradually eroded ... with disastrous consequences. With chapters on mythology, evolution, archaeology, geology and science, Genesis Unveiled is a highly scholarly and thoroughly researched work, combining history, philosophy and theoretical physics to spectacular effect. 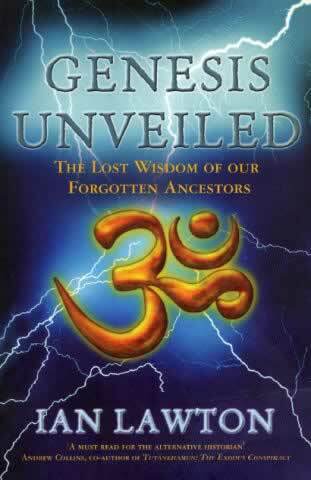 Above all, it argues that the hidden history of our forebears has profound implications for the modern human race.